We’re calling it now, monochrome styling is becoming a thing. Lately, we’ve seen a number of editorials and weddings styled in this fashion—as in with a singular hue—and we’ve got to say, it’s downright elegant (see this Modern Meets Vintage Monochrome White Wedding in Hollywood). 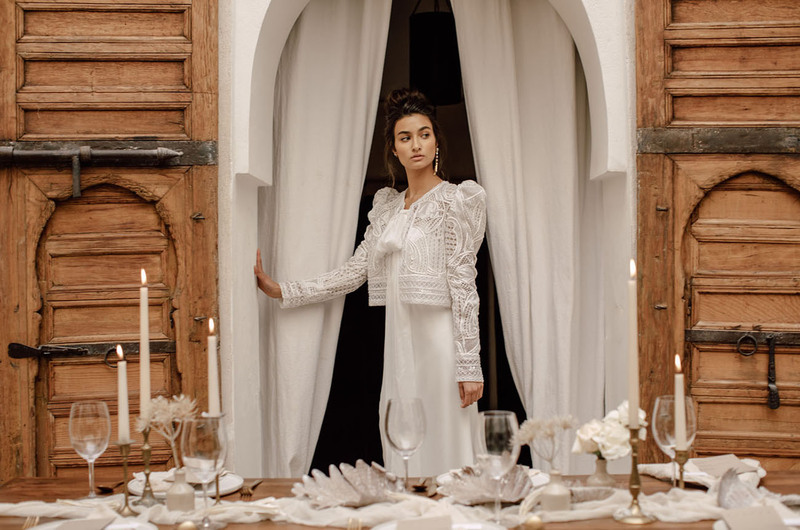 Instead of bringing in the typical vibrant hues associated with the city, IDO Events went for a clean, organic, and natural look, replete with tons of creamy whites, inspired by the Riad Nomada in Marrakesh. 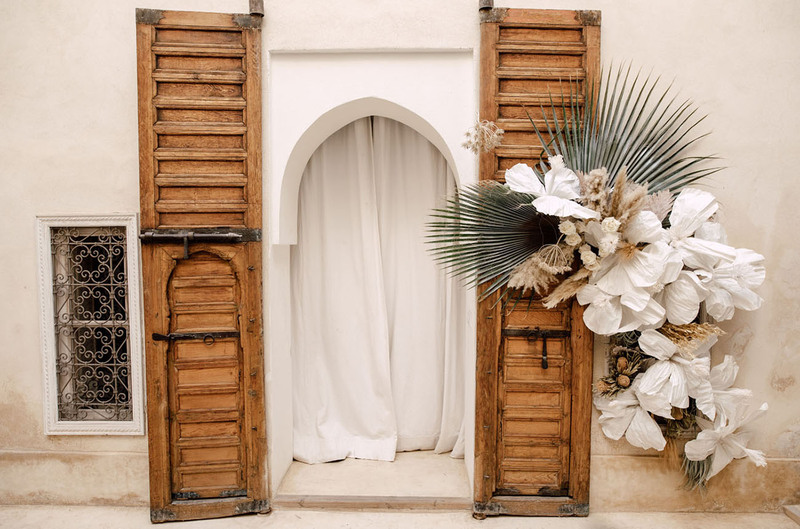 Sharon of IDO Events shares: Marrakesh is getting more and more popular for destination weddings due to its vibrant atmosphere on the streets and unique architecture. And we totally get why—Morocco is truly amazing and so inspirational. 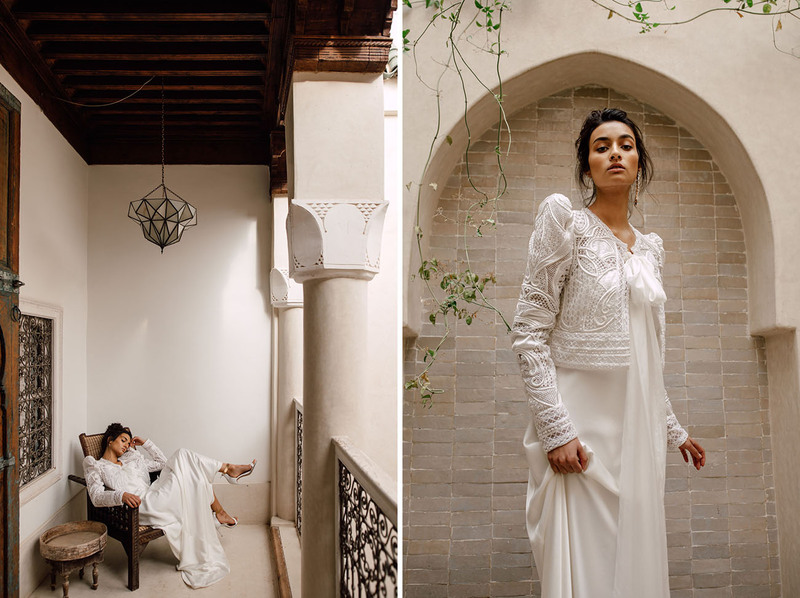 We chose the Riad Nomada to showcase a more natural side of Marrakesh, dedicated to the modern and fashion forward bride. Curious as to how to make a monochrome look work? Well, dear friends, it’s truly all about layering textures! You’ll see what we mean in the photos snapped by The Saums! 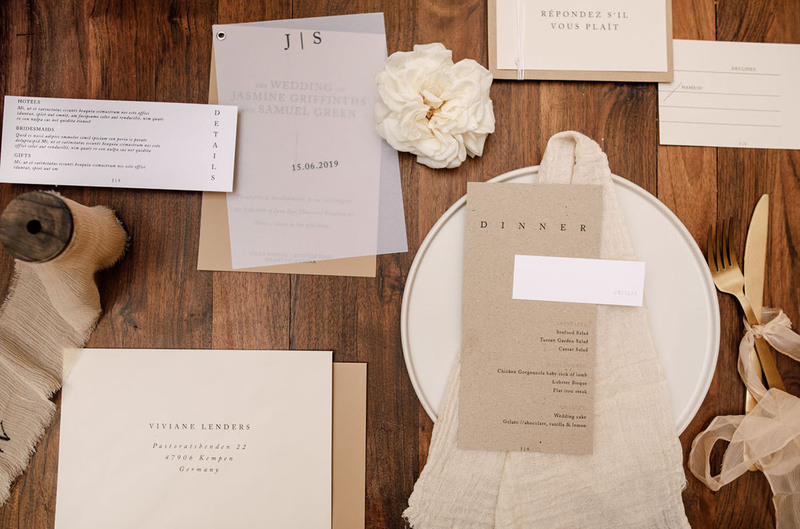 To set the mood, Viviane Lenders crafted this invitation suite with all the creamy tones. 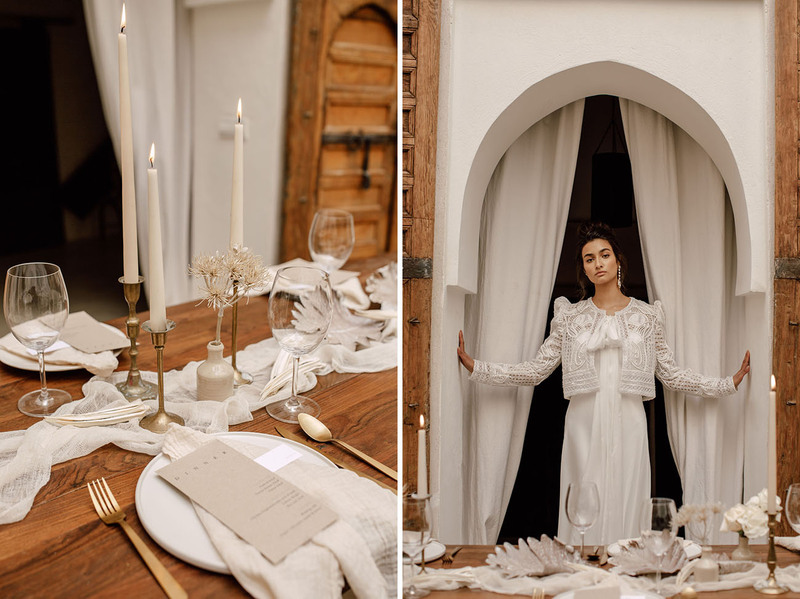 The setting at the riad already had a very natural look, so to play off those creamy white tones, the team crafted giant textured florals, which mimicked the draping of the curtains. Flores Y Amores then mixed in some native dried plants, for good measure. 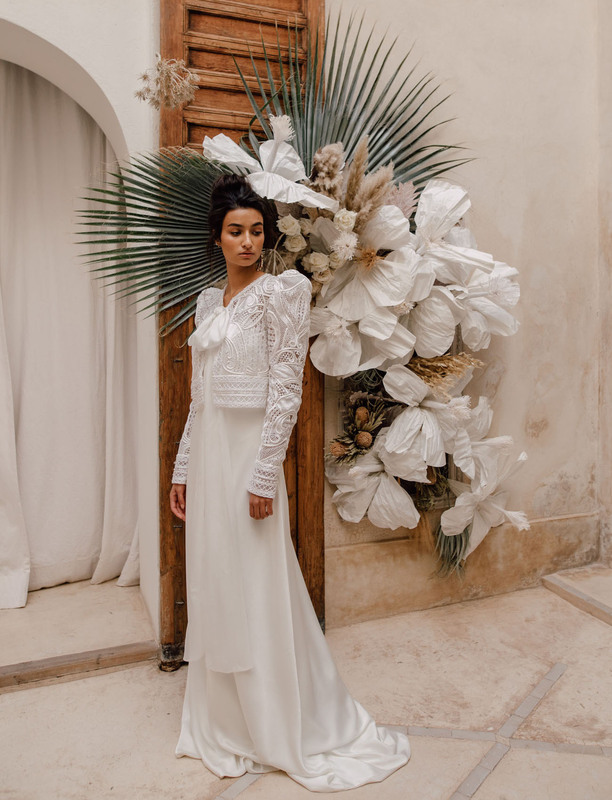 Bridal stylist,Karolina Woznicka made sure to add sumptuous textures for the monochrome bridal look. 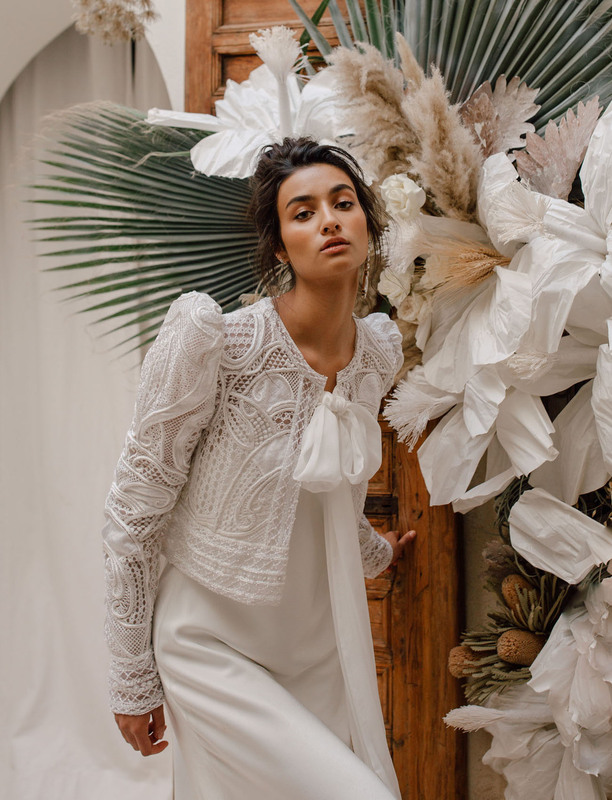 The Chosen jacket from Wildatheart Bridal creates a ton of interest, don’t you think? Stella Loewnich Makeup & Hair kept the makeup natural and light, accentuating the bride’s natural beauty. 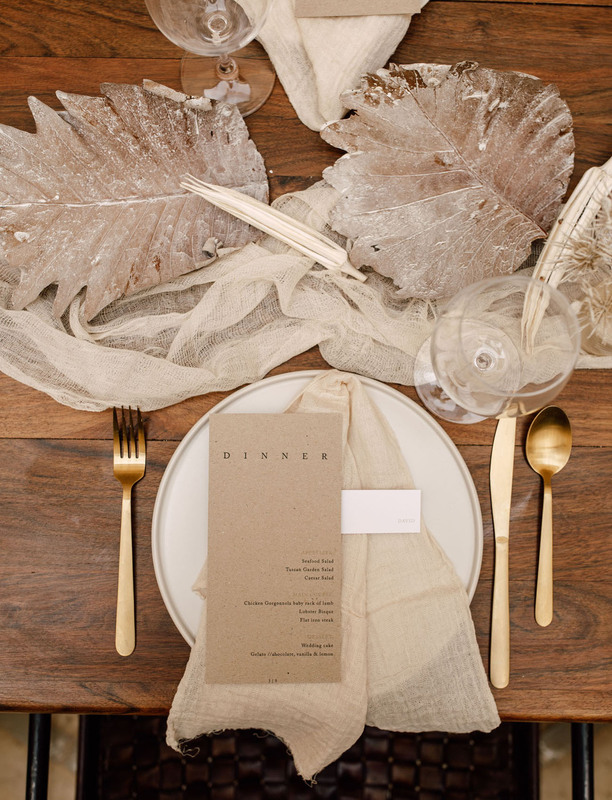 Using the cream and bringing in natural accents, the tablescape was all about layering and playing with dimension. Aren’t those silvery leaves such a luxe touch? And that, ladies + gents, is how you pull off a monochrome look, with just a sprinkling of natural accents. Such a beautiful editorial! I love all those neutral vibes, perfect for a summer wedding ! 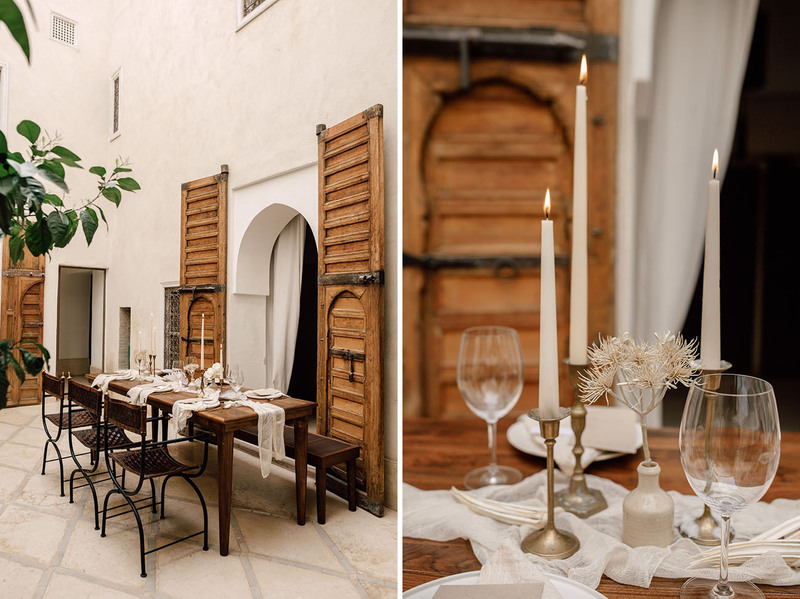 I am getting married in Marrakesh next year and I absolutely love it! Cotton gauze napkins and table runners are a perfect idea for a chic laid back wedding – I need to get them for my own too! Oh my God, this is amazing! I love everything about it, but especially ribbons – so pretty!